My girls think I’m the best mom ever. Really. It’s true! Of course, they’re still amazed by the wonderfulness of Great Wolf Lodge. 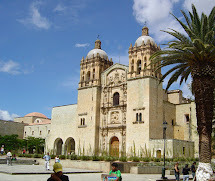 If you’ve never been there and you have children, you should schedule a trip ASAP. If you don’t have children, you should probably avoid this place. Think of it as Chuck E. Cheese on steroids with lots and lots of water. As we drove up the entrance to Great Wolf Lodge in Williamsburg, the girls were impressed by the large wolf statues and the rustic Northern woods look of the resort. Check in was a breeze at the lobby and the children amused themselves by playing a game of giant checkers on a table beside a cozy, oversized couch. Guests wear wristbands that serve as room key, water park pass, and electronic credit card. No cards or cash needed –until check out, that is. The big draw of Great Wolf Lodge is the water park. We spent the majority of our waking hours in the water. My minnies are at an age where I felt comfortable letting them explore on their own and riding the slides and lazy river by themselves. The lifeguards were all very attentive and I was very impressed with all of the employees. 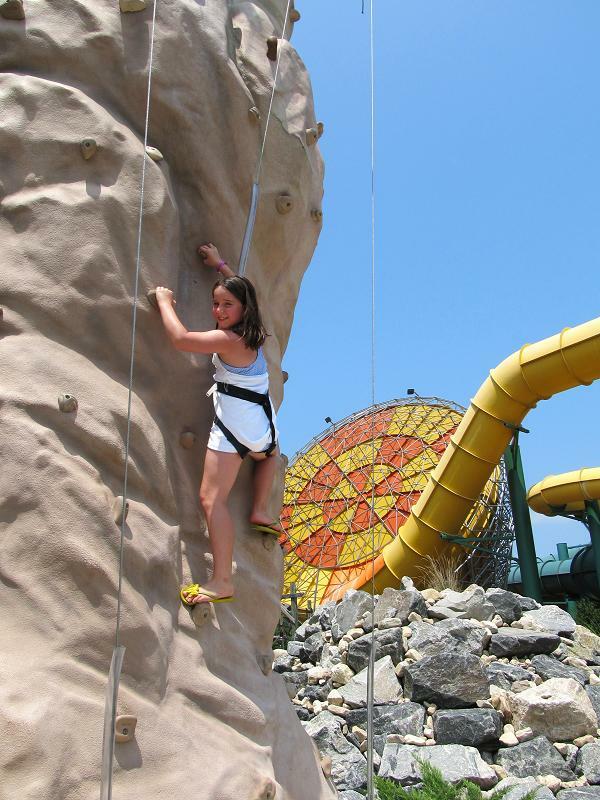 The water park opens at 9:00 a.m. and the opening of the park is nothing short of a spectacular. Children and their parents wait at the doors as flashing lights and techno-ish music add to the excitement. I kind of felt like I was in the twilight zone because if I closed my eyes, I could imagine myself waiting for the dance floor of an Acapulco night club to open circa 1999. Just before the big countdown, the kids get the “rules speech” from a Great Wolf Lodge employee. We also really enjoyed the outdoor pool, too. Scoops, the kids' spa, is absolutely adorable! Every service comes complete with ice cream. 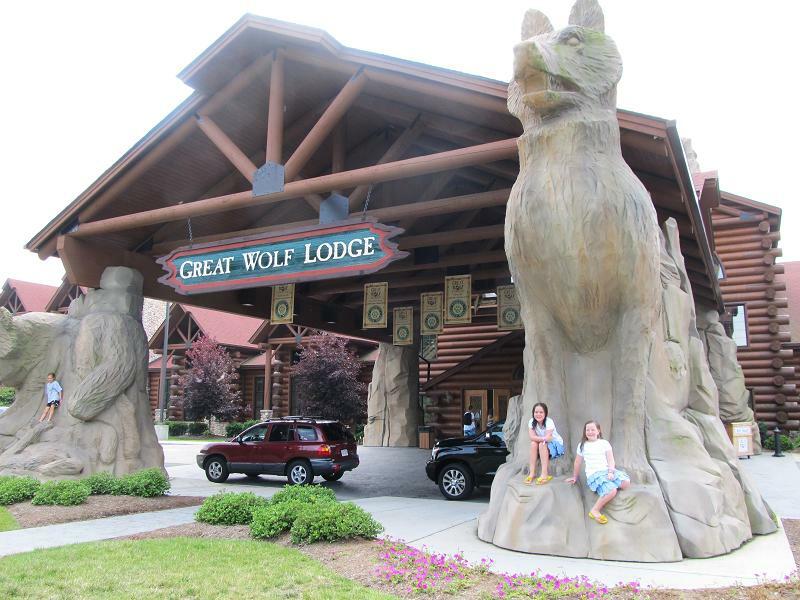 The overall atmosphere of Great Wolf Lodge is very relaxed and casual. Everyone seems to be wearing a bathing suit, a cover up, sweats, or pajamas all the time. Kids are encouraged to come to the evening story time in their pjs! Too cute! 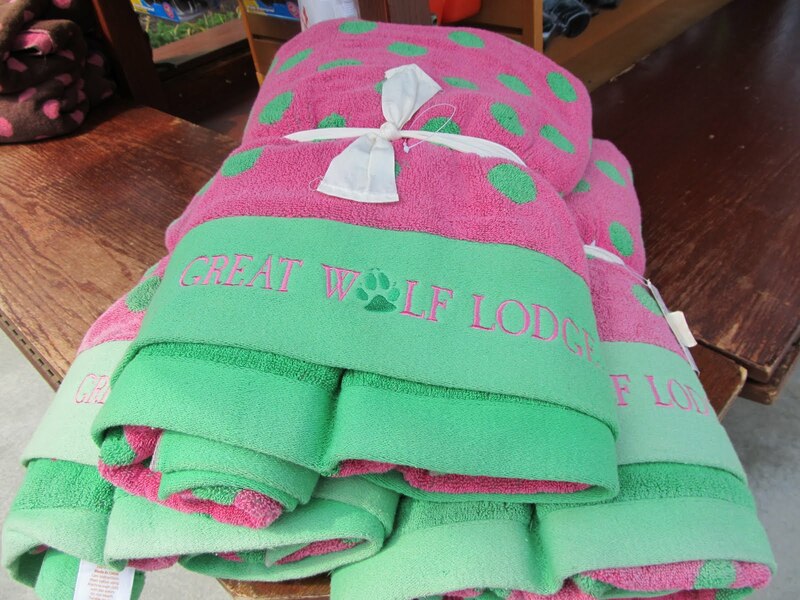 Of course, there is lots of good shopping at Great Wolf Lodge, too. Parents will love the Williamsburg wine. My favorites are Governor's White and James River White. It's oh so elegant when served in a plastic hotel cup, too, although the peeps from room service would be happy to bring a real glass to you! There's a place to stuff and dress animals a la "Build a Bear" and gift shops are filled with all kinds of goodies. My radar was set on some pink and green, of course. 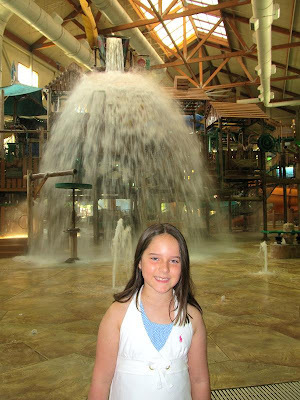 Great Wolf Lodge is a fun and family friendly destination! Everything about our trip was wonderful and I loved the special edition bubble gum shower gel in the bathrooms. I tried to purchase some in the spa and gift shop to take home with me and am sad to hear that it is exclusive to the guest rooms. It's so yummy! I have to get some; it's almost worth a return trip just for the shower gel. My trusty car is going to have an extra 1,000 miles on it after these most recent travels. Wait until you see my adventures after Great Wolf Lodge! 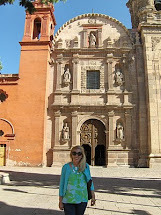 Summer travel is so much fun! 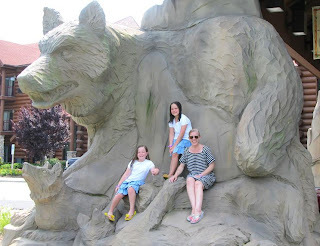 After a bout of insomnia last night, I researched all about Great Wolf Lodge in the Poconos in PA...what a coincidence to wake up to your blog about it!! I think we're going in August...only about 2 hrs from us! Thank you for your wonderful review of GWL! 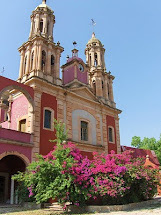 What a wonderful place for the family!! You just come up with the best ideas & places to go Bethany :) How lucky for your girls to have such a lovely, adventeurous Mommy ! Happy weekend! You are so blessed to have such beautiful girls to enjoy your life with - and they are to have you for their Mom! So sweet to see such happiness - and they look adorable in the Kids' Spa - what a great idea. You're building a wonderful relationship and beautiful memories! Lisa ~ Your little girl will love it! Please let me know how your visit is later this summer. Thanks for your sweet comments, Pattie and Linda!